• Students should be well mannered and courteous at all times and use words like thank you, please, sorry etc. • All the waste must be placed in the bins provided. Students should take pride in the cleanliness of their school premises and should strive for it. • The school shall not be responsible for books, money, clothes or other articles that are lost. • Though minor injuries or sickness during school hours shall be attended to, the school shall not take the responsibility or liability for any unforeseen incident like accident or illness of student that may happen at school during the school hours. • Parents/guardians should go through their children’s diary regularly. 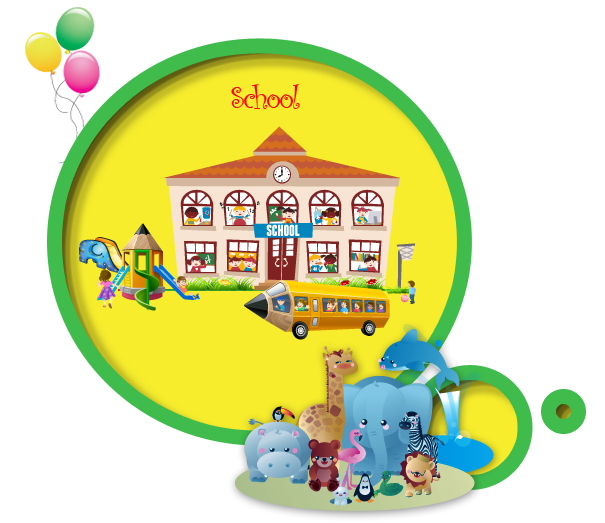 • The parents need to adhere to the school timings and see that the child reaches the school, and is picked up from the school in time. • Parents will notify the school of any change of address or telephone numbers through a letter addressed to the Principal which will help for timely communication. • Parents should not send their children with any infection or disease to school. A medical certificate has to be submitted along with the leave letter addressed to the Principal. • It is necessary that parents respond to circulars and other communications received from the school promptly and consult the Teacher/HM/Principal, if required, as advised. • Parents are requested not to disturb the teachers in person or on phone during school hours other than the specified visiting hours. • Parents should not approach the school authorities to take home the child during the school working hours or during observations except in emergencies and only by producing evidence in writing to the Principal. • Parents are to be punctual while dropping and picking their children at the designated bus stops to avoid inconvenience and delay to other students. In case of delay at the time of picking their child, the child will be brought back to the school. • A student must wear uniform with pride and ensure that they look neat and presentable at all times. Student ID Card is an integral part of school uniform and must be compulsorily worn to school every day. • Girls with short hair are required to wear black hair band and girls with long hair should have two plaits folded up using black ribbons both inside the campus as well as when they go out to represent the school. • Boys should have a short and tidy hair cut, hence, gelled hair and fancy hair cuts are not allowed. • Students are not allowed to wear expensive jewellery items. • Nails should be trimmed properly and students are not expected to use nail polish and mehendi..
• Care must be taken that the uniform is washed and ironed well and worn with clean white socks and polished black shoes. • Students must speak only in English in the class and in the school campus. • They must respect the space of other students and follow a ‘no touch’ policy. • Students should respect and co-operate with teachers and other students. • They must raise their hand and wait for their turn to speak in the class. • Students must always obtain teacher’s permission before asking any questions, talking to other students or moving within the class room. • Students should reach the school by 7:55 a.m. every day and enter through Gate 1. • Late coming for more than three times that is, after 7:55 a.m. in a month will be recorded by the teacher every month in the diary and the student will not be allowed to enter the school campus after the third time in a month. • It is compulsory for students to have 75% attendance in each term to become eligible to take the end-of-term assessment. • The parents are advised not to fix up appointments with the doctor during school hours. The school has no policy of holding retest but management has a right to consider the matter depending on its merit for further follow up action as deemed fit. • Repeated absence without notice or unexplained absence, without written application for more than five consecutive working days renders the student liable to have his/her name struck off the rolls. Re-admission may only be granted after payment of re-admission fee. • The term wise Fee Challan will be issued in the 3rd or 4th week of March, July and November every year. • The annual Bus Fee Challan will be issued along with the 1st term Tuition Fee in the 3rd or 4th week of March. • Cheque Drop box facility is available at the school office till the closing time of the due date.